The Miami City Cemetery is a historic cemetery in Miami, Florida, United States. It is located at 1800 Northeast 2nd Avenue. On January 4, 1989, it was added to the U.S. National Register of Historic Places. 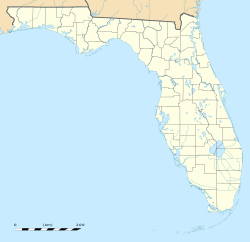 At that time it was located one half mile north of the city limits on a narrow wagon track county road created in 1897, a year after the City of Miami was incorporated by 100 men. African-Americans and black Bahamians made up one-third of the City's incorporators. The first burial, not recorded, was of an elderly black man on July 14, 1897. The first recorded burial of a white man was H. Graham Branscomb, a 24-year-old Englishman on July 20, 1897 from consumption. From its inception, the historic cemetery was subdivided with whites on the east end and the blacks population on the west end. Blacks provided the primary labor force for building of Miami but were confined by clauses in land deeds to the north west section of Miami now known as Overtown In 1915, the Beth David congregation began a Jewish section. Two other prominent sections are the circles: the first to Julia Tuttle, the "Mother of Miami" buried in 1898; the second, a memorial to the Confederate Dead erected by the United Daughters of the Confederacy. Sixty-six Confederate and twenty-seven Union veterans are buried here. Other sections include a Catholic section, American Legion, Spanish–American War, and two military sections along the north and south fence lines. Among the 9,000 burials are pioneer families such as the Burdines, Peacocks and Dr. James Jackson. This site has the only known five oolitic (limestone) gravestone worldwide. These and the unique tropical plants make this a tropical oasis. The Miami City Cemetery is one of the few cemeteries where the owners of the plot actually hold a deed to the land where the plot is situated. Approximately 1,000 open plots remain within the City Cemetery but to be buried there the criteria is strict. One must be either the deed holder or able to prove familial relationship to the owner. Friends of the family are not allowed. Currently between 10 and 20 burials occur every year at the City Cemetery. The Miami City Cemetery is the oldest cemetery and is the first and only municipal cemetery in Miami-Dade County. The cemetery is the resting place for members of many important pioneer families in the City of Miami. Some of these pioneers are known to us by their history and their grave sites. As a result, the headstone and the classical mausoleums embellish the only site associated with many of these individuals. In 1997 Enid Pinkney and Penny Lambeth began a restoration project of the cemetery. It has been a major transformation. Julia Tuttle (1848–1898) – The "Mother of Miami." William M. Burdine – Founder of Burdines. John Sewell (1867–1938) – third Mayor of the City of Miami. Dr. James Jackson – The first resident physician of Miami. 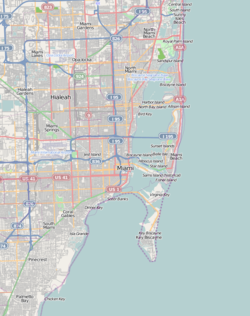 Wikimedia Commons has media related to Miami City Cemetery. This page was last edited on 29 January 2019, at 23:19 (UTC).